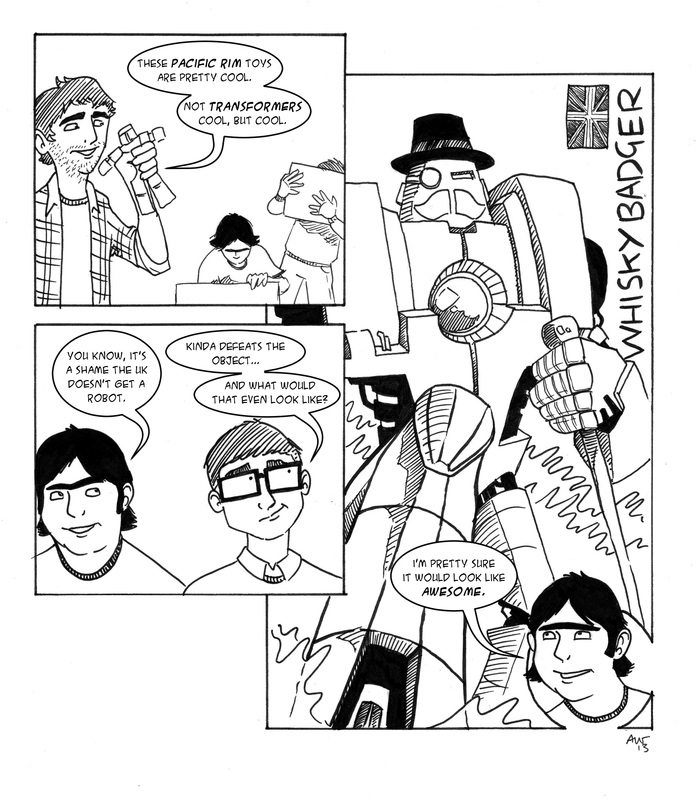 Today’s strip references Guillermo del Toro’s upcoming film Pacific Rim. Wikipedia describes Pacific Rim as “The film is set in the near future where soldiers pilot giant robots into battle against invading giant monsters who have risen from a portal beneath the ocean”. If that does not sound awesome I’m not sure what does. 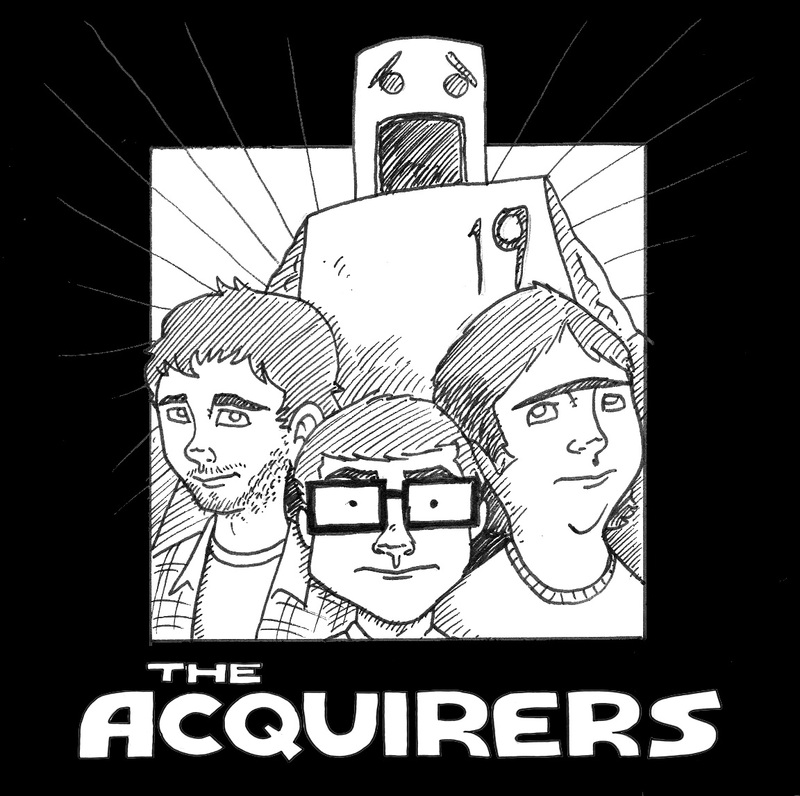 The Acquirers: New beginnings The Acquirers: Obligatory Car Chase The Acquirers: Enter Trunk! 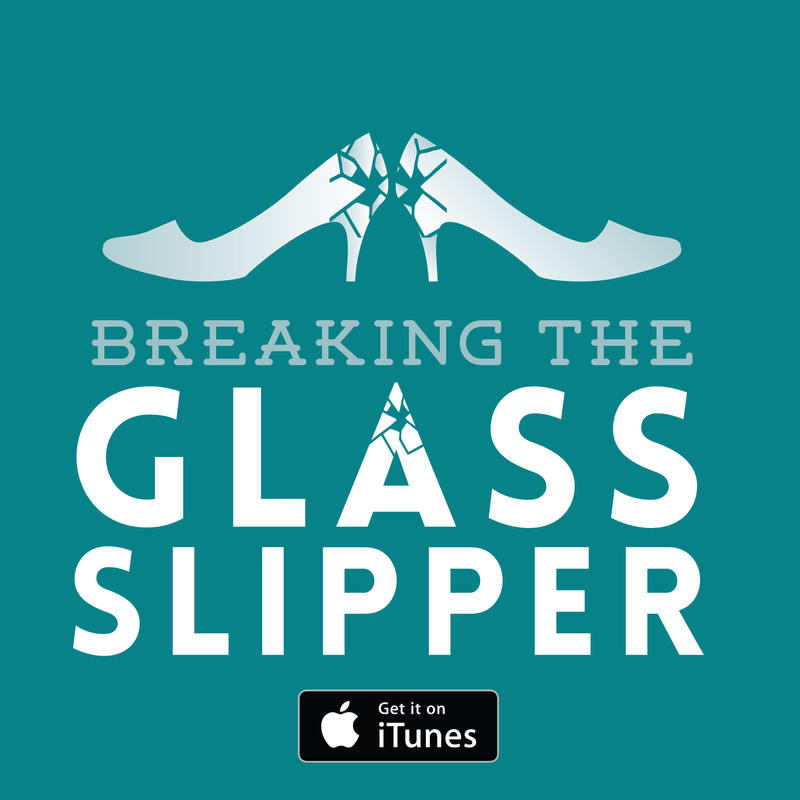 The Acquirers: Too Secure?